With Autumn right around the corner, it seems a little late in the season to be trumpeting a song about summer… but I do believe that Demi Lovato’s latest is the song of the summer. It is the best Katy Perry wanna-be song since Jessie J.’s ‘Domino’. Written by Lovato, Alexander Erik Kronlund, Savan Kotecha, Ali Payami and frequent Perry collaborator Max Martin, ‘Cool’ is, for all intents and purposes, a Katy Perry song. It’s structurally similar to many of Perry’s works – the chorus soars, there is that little false stop, that quiet bridge. Then it’s a matter of the slower beat, the titillating lyrics and the subject matter (‘Kissed A Girl’). Close your eyes and one can easily imagine Perry doing this song. But my issues with the song don’t stop there. There’s the overall production – it feels muted and I’m not sure why. I simply wish it were as sharp and crisp as, say, a Katy Perry song. It’s like the entire song is being played from another dimension, one close to the one I’m in, but not truly ‘here’. Take those guitars, for example. I want them to rip and snarl, instead, they come off as rather polite. And what’s up with that brilliantly-colored cover photo? Yes, it’s very adult. 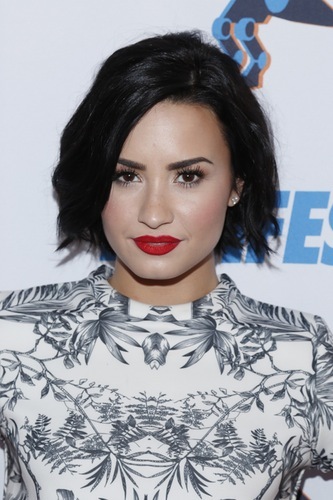 In fact, sadly, it’s almost downright matronly, making Demi look decades older than her years. I think it’s the hair that throws it off. Or maybe the whole pose; a kind of homage – Vargas Girl meets 80’s Nagel Woman. But I don’t think it flatters Demi as much as intended. Perhaps, ‘all the above’ is why the single is having trouble gaining traction on the chart. After debuting at #36, it hit #28 before dropping dramatically. It currently resides outside the Top 40 and is definitely deserving of more. Bottom line? ‘Cool’ is rather irresistible. That chorus gets in your head, it’s fun deciphering the lyrics and Demi’s vocals are spot-on, avoiding the shrillness of some her other singles. 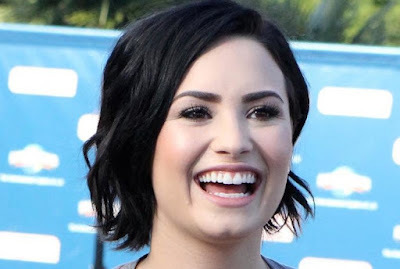 Plus, Demi has been a staunch LGBT ally, and I am in her corner. So, regardless of my many reservations, I still have to declare ‘Cool’ the summer sweepstake winner. Let’s hope it finds its footing soon. I got the Katy Perry vibe as well. But it's a great song, I do really like it. When I heard a clip of it, thought the chorus was too strong. Got used to it. But... Max Martin, Savan Kotecha & Demi Lovato - that can't be a bad mix!